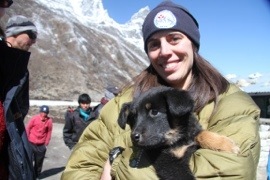 After our blessings from the Lama Geishe, we made our way with sunny skies to Pheriche and another rest day. 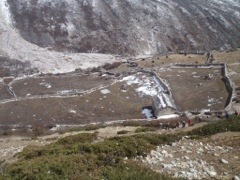 A long the way, we meet with Yak herds, Trekkers and climbers. In particular, we’ve been pacing with the first American to climb Mt. 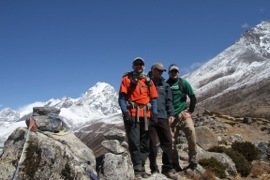 Everest, Jim Whitaker and his Eddie Bauer “First Ascent” team that includes 13-time summiter, Dave Hahn. Whittaker is celebrating the 50th anniversary of his summit while supporting Hahn in his push to log yet another – all supported by the good folks at First Ascent. 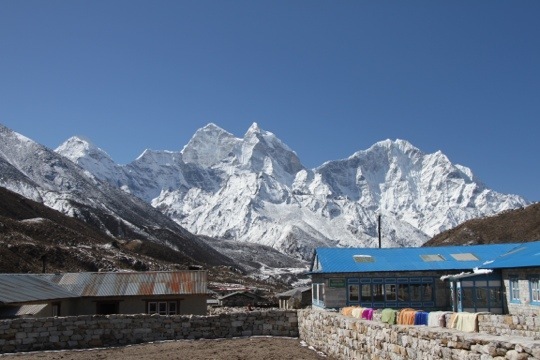 There are a number of commercial ventures up on Everest this year including the North Face, National Geographic, Prince Harry and the broad assortment of groups like ours from all over the world. But some of the most incredible people are the ones who donate portions of their time, money and effort here for the locals. Among those, the Himalayan Rescue Foundation is one that dedicates the time of doctors here to help locals and travelers alike. But now, Journey is cranking in the tea house and the wifi is cranking while the wind and snow pound against the windows. It all serves to remind me that I’ll be sleeping in a tent at over 16,000 feet tomorrow – with no wifi. This entry was posted on April 7, 2012 by bberger6. 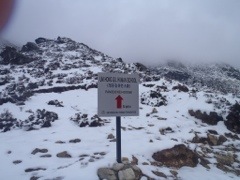 It was filed under Everest Updates and was tagged with Climbing, Mt. 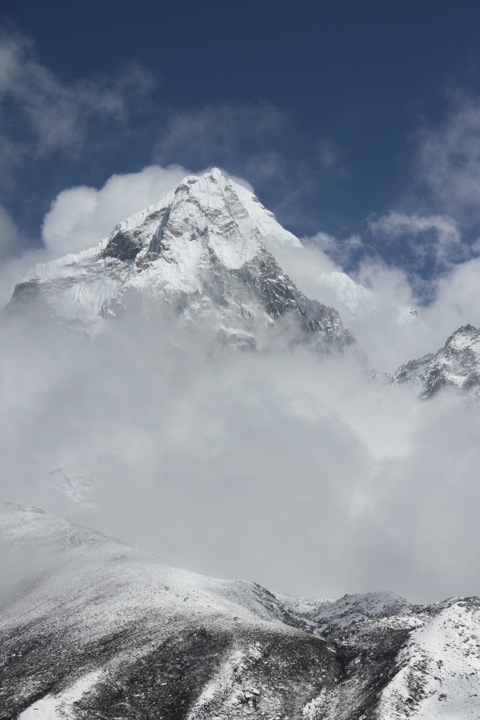 Everest, Nepal, Sherpas.